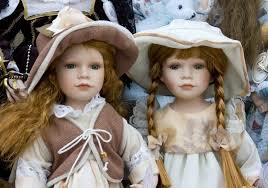 The Eliza Cruce Hall Doll Museum is a hidden treasure located inside the Ardmore Public Library. The collection was donated to the Ardmore Public Library in 1971 by the niece of Oklahoma's second governor, Lee J. Cruce. The exhibit features over 300 rare and antique dolls representing a wide range of historical periods from the United States and Europe.